The Father of the Year Award recognizes men who have made their families a priority, while balancing demanding careers and being outstanding community leaders. 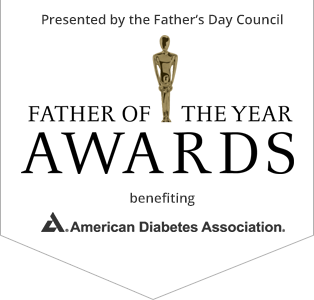 This award does not recognize a father's specific career-related accomplishments and is not an endorsement of his work or products by the American Diabetes Association. 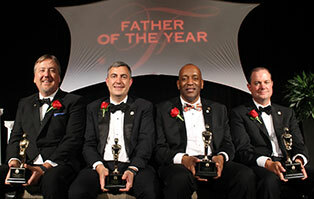 Awardees are selected because their peers and families recognize them as role model fathers. By honoring men who are seen as leaders in their communities, we are generating attention to the event that furthers the Father's Day Council's goal of heightening awareness of the importance of fatherhood. The men we honor understand the importance of giving back and supporting their communities, so as honorees they also help sell tickets, tables and ads for the awards dinner, which raises much-needed funds to support the mission of the American Diabetes Association, to prevent and cure diabetes and improve the lives of all people affected by diabetes.